Last week (or was it two weeks ago?) 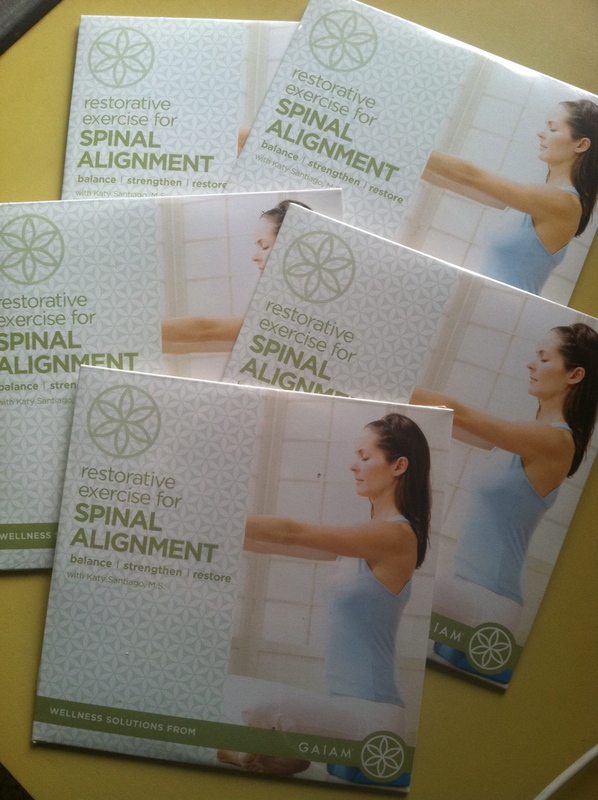 I found a whole bunch of my Spinal Alignment DVDs in a box. 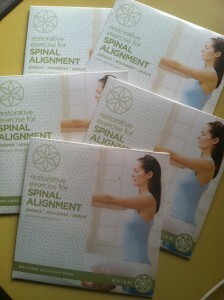 My Spinal Alignment Kit is one of my all-time favorite programs. The haiku is one of my all-time favorite poems. Naturally, you can see why I needed to have a Aligned and Well Facebook haiku contest to give these DVDs away. Real haiku is actually way more sophisticated then the 5-7-5 syllable style we all learned in 7th grade, but since my sense of humor (and hair styles) failed to develop much since then, I’m OK with whatever you got. There's one thing I know. Doing more Spring cleaning has revealed a few more disks to give away. If you’d like a chance to win one, just throw down a haiku right quick in the comments section below. I'll pick the winners later this week. I’m feeling creative. Hear me out. Sqeeaark. Prbht. You hear that? Note: Send Outback Steakhouse a dollar for using term "Bloomin' Onion."